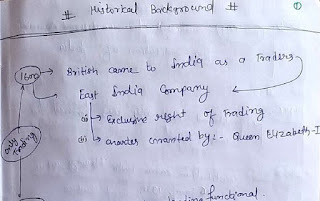 Historical Background Indian constitution Handwritten Notes.. These notes are Historical Background Indian constitution Handwritten Notes. Available in English Language for Download.These notes will be helpful in various compititive exams. You may watch preview of these notes by clicking on preview or download these to by link provide below. Historical Background Indian constitution Handwritten notes for UPSC/SSC/and Various State Level Exams.